It’s hard to find a place to begin with Parker’s Records and Comics website, because the website and business itself has so much to offer for collectors. You would think by the name that it’s self-explanatory, but really there is much more to it than just “Records and Comics.” Focusing specifically on records, they come from different eras that helped create the rich history music currently has. Some of the artists influenced modern musicians and the sound that some genres have today. What Parker’s is known for is the collection of 45 RPM records and picture sleeves, sold separately or at times together. While exploring the online catalog, you’ll notice sound clips, a breakdown of categories or genres, grading, pricing and more. Something that separates Parker’s from the pack is the massive collection of sound clips that are available with most records. Owner Don Parker updates these regularly in the case you’d like to verify that a certain record is exactly what you’re looking for or just enjoy a few older sounds to reminisce, you’ll have no trouble at all. All you need to do is see something you want to listen to that is underlined and displayed in blue as a link, click it and you’ll start to hear that specific track! One thing that is especially important to collectors is the grading. Don grades using the standards listed in Goldmine Magazine, and he understands that grading is a subjective practice. Therefore offers 14 days to return a record if anyone is dissatisfied. See the full details, here. After reading through the basic information of a record like its grading and genre, you’ll come across the price. A number of factors are incorporated into pricing, but Parker’s is confident that they price competitively, because they’re often below the magazines or other guides price levels. If you’re in the market for an old classic or looking to improve your collection, Parker’s is the clear choice. Everything from lesser known artists and records, to big names like The Temptations are among the many you’ll find. You can look back to our last post on Northern Soul authorities, their picks and how Parker’s inventory stacks up to get a better idea of the depth the collection has. Free Comic Book Day is right around the corner! On May 7th 2016 hundreds of thousands, potentially millions of comic books will be distributed around the globe, for free! Those that read comics are always excited for this day, while many kids and adults will become fans of comics afterwards. For over 5 years Parker's Records and Comics has been participating in this event. This year at Milford Junior High of the greater Cincinnati area, Parker's will be donating over 1100 comics! Last year we gave away 8 boxes, this year we have over 10! More than 50 titles and $1000 worth of comic books will be distributed. We're pleased to be a part of this event and will continue to be for years to come. Learn more about free comic book day, here. Also, be sure to explore our collection of comics and records on Parker's main website! At Parker’s we’re proud to sell Charted Hits 45’s. 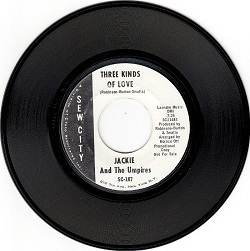 Our collection includes the 45’s and picture sleeves, along with some 45’s that are specifically made for jukeboxes. Needless to say, there are some intriguing items in our stock. 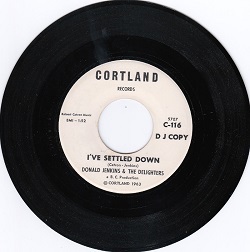 Browsing through our charted hits 45’s collection you’ll encounter the Beatles, Brenda Lee, Steely Dan and so many more phenomenal artists with their respective records. Some items go as low as $1.00, with other rare, mint condition records surpassing $300.00. You will find them all while exploring. A common misconception with charted hits is that all of them were widely available, and this simply is not true. For example: In stock we have the Rolling Stones 1965 picture sleeve for “(I Can’t Get No) Satisfaction.” Although pretty much everyone has heard this song at some point in their life, the release of the picture sleeve was limited, and it is now a rare item (that we have in stock!) Another excellent example is the picture sleeve for “Happy Together” by Turtles, which we also have in stock. On our website you can find more information regarding our charted hits and other 45’s for sale. It often comes as a surprise to those browsing that we have an outstanding comic book collection too! We encourage you to explore, whether it be for your collection, nostalgia or sheer listening pleasure. Thank you for reading! Parker’s Records and Comics have a masterful collection of 45’s from the 50’s, 60’s, 70’s records and vintage vinyls. Offering a variety of all types of music, Parker’s has an unparalleled selection. 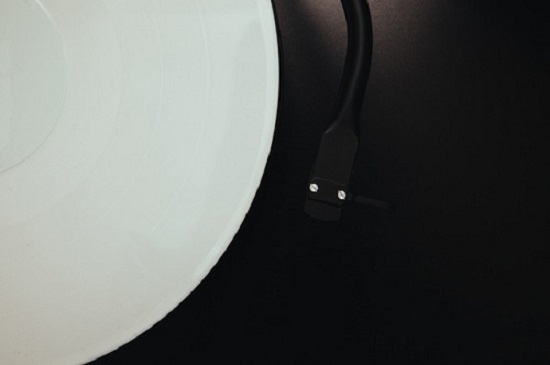 Anything from Funk and Soul, to Instrumental and pop rock can be found in our store! All of these records can be found online as well, for your browsing convenience. A popular item at Parker’s is our collection of 45’s that include Funk records which originated in the 1960’s, when African American musicians felts like their music needed a “pick-me-up,” or something people could dance to. It was based off of the styles of previous genres such as jazz and R&B, and it is meant to be just a more upbeat. Along with our Funk selection we have Soul records in 45’s that are a mix of gospel and blues. 45’s from artists like Ray Charles and Little Richard are found here. 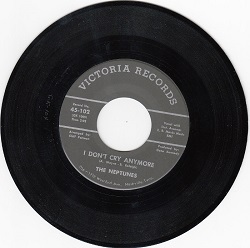 45 rpm records themselves released in 1949 from RCA as a higher quality, more durable replacement for 78 rpm shellac discs. They were originally produced in mono, but as stereo increased in popularity they started to be produced in that fashion. This was in the 60's and became true for nearly all 45's in the 70's. We have over 35,000 free samples that cover most of our songs on the website, and we're adding more as we speak! If the song has a music note next to it, you can click on it and it will play a sample of each song. We update our inventory regularly so there are always new samples to listen too. While listening you'll find information on each record. From the songs on each side, to the label and even the grade, we want your buying experience to be flawless. If you’re interested in any of our offerings, explore our 45 record collection, or contact us via email! Thank you for visiting Parker's! “It’s the Holiday Season…” We all know these words at this time of year from the famous holiday tune, our personal favorite is the the rendition by Andy Williams. We happen to have a few of his Reissue 45’s! All holiday songs aside, this is the time that a lot of people recognize they need to get started on holiday shopping. What should I buy my husband? What is a good gift for my son? 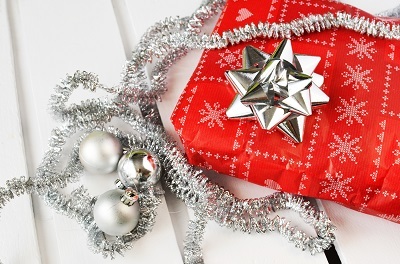 Do you have any holiday gift ideas? Parker’s Records and Comics has gift solutions for all ages. For collectors, a specific age, publisher or even specific comic would be desired. As far as 45’s go, we often times see specific inquiries, but we know there could be a record that the person in your life may have forgotten about. It would be great to bring back memories and surprise them with a blast from the past. If you know some details about the collector in your life’s preferences, we are happy to help you generate ideas in store, via email or over the phone. The great thing about gifts like these is that they are a far cry from a typical gift. Something like a gift card isn’t very personal, and the recipient may feel like you got it at the last minute. A record or comic is thoughtful, and can give someone something to read or listen to time and time again in the future. They truly are gifts that keep giving! Parker’s Records and Comics is not your average comic and record shop, and it doesn’t have your average online experience. We pride ourselves on going above and beyond to get clients the best 45’s and comics. We can be your first and last stop! The best part? Our products can be accessed via storefront or online to reach people all over the world. We know that the vast majority of collectors and comic fans don’t live in the greater Cincinnati, so we’re happy that we can offer online ordering! We’ve also been working on some other aspects of the website. If you’ve ever been to our site on a mobile device before, it may not have looked too pretty. For this reason, we’ve made the website mobile friendly! Now listening to our 34,000 plus sound clips and looking at our 4,200 plus comic images is a breeze. Let’s take a simple scenario to give you a better idea of how the website is set up to be easy for users to explore. Say you’re in search of a Northern Soul, Novelty or other type of 45 rpm record. If you head to the home page, mouse over “records” and you will see a breakdown of every type of record we carry. Say you click on “Soul Records and Funk Records (45’s).” On that page you will find an overview of that style of music, and at the top you’re able to access our complete inventory in alphabetical order (by artist name.) There, we’ll detail songs, the label, number, grade type of music and the price. This is the set up for every record type on our website! When it comes to comics, we’ve made it even easier to navigate. We carry all ages of comics, primarily Golden, Silver and Bronze age, from publishers like Dell, Marvel, DC, Archie and more. All comics are sorted by title. If you can’t find what you’re looking for or have a general question, you can click the contact us button at the top that takes you directly to Owner Don Parker’s email, who is quick to respond. We’re hopeful that Parker’s can help you build your 45 or comic collection, and bring joy to your life. We hope to hear from you soon! Are you or someone in your family a collector of comics? You’ve come to the right place! Along with our huge 45’s collection we carry a lot of great comics. Most of them are available online, and if not we may have it in the store. When searching for comics, a couple of things come to mind first. 1. Age-Is the comic from the golden, silver, bronze or modern age? The oldest comics fall into the Golden Age, between 1938 and 1950. Then comes the Silver age from 1956 to 1970. Bronze is from 1970 to 1985, and from then on is the modern age. 2. Publisher-Often time’s people have a favorite publisher. Some popular ones include Marvel, Dell and DC Comics. There are also Archie comics, Charleton, Gold Key and so many more. The great thing about Parker’s is that we have a solid selection from every age, and most publishers. Even better, you can view our entire comic inventory online. For an idea of what you’ll find in that inventory, let’s jump to a random page. Let’s see what is hiding under M. Machine Man, Mad, Magnus Robot Fighter and the Many Ghosts of Doctor Graves are just a few! With all of our listings, we make sure to specify the title, issue, publisher, format, grade and price so that you can know everything about the product, and be confident with your purchase. If you’re trying to find a rare or hard-to-find comic, there is a chance we have it! If you can’t find it online, just call in and ask! Whatever kind of comics you like, we are hopeful that you’ll find them at Parker’s Records and Comics. Take a look at part of the inside of the store below! When it comes to 45rpm Vinyl Records, Parkers Records and Comics is here to answer any question you may have. Owner Don Parker has traveled across the country to find the best 45’s available. From well preserved collections that owners have decided to let go, to dusty boxes at garage sales, Don has hunted down some of the most sought after 45’s available. Over the years an unrivaled inventory has been built, and samples of most are available (over 30,000 samples!) In the inventory you will find the artist, the track(s) on each side, the label, number, grade, and type. All of which lead up to the price, or how much it is worth. The goal is to leave you without questions, but in the case you do have a question we are more than happy to answer it. Some of the records that people often seek are northern soul records. This style led to early disco, break dancing, and really created its own genre of dancing. Then there are the funk 45’s that offer a complex rhythmic style. These are just two of the many types of 45’s we keep in stock. Should you find something you would like to purchase, you can order online! Our stock is accessible as ever, so that you can add great sounds and value to your collection. Those who know about Parkers Records and Comics know that we have one of the best collections in the world. The foundation of our collection is the 45 rpm records that make up a lot of our inventory. When thinking about 45’s Doo-Wop, Garage, or Novelty records may come to mind. If that’s what came to your mind, you’ve come to the right place. 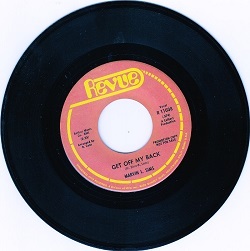 If you follow us on Facebook or Twitter, you may have seen that one of our recent spotlights for records was a doo-wop 45 by Bob Knight Four-“So So Long Good Goodby” / “You Tease Me” on Taurus 100. We post these spotlights weekly, and we offer information on price, release dates, and conditions. This one happens to be in mint condition, released in 1962, and it’s $60.00. 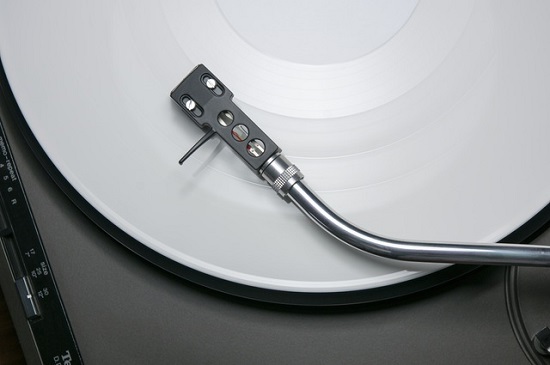 If you’re looking at a record, maybe you’re unsure about the sound quality, condition, or if it’s the item you had in mind. With Parker's we give you complete accessibility to our collection with sound clips, and the ability to order online. Everything you need is right here online. Even if you decide to order online, we encourage you to visit our store right here in Cincinnati. The in-store inventory is a site to see, and we wouldn’t be surprised if you stumbled upon a record or comic you’ve been looking for! You can get a sneak peak tour of the store on our Google Plus page. Parker’s is a rewarding business because we have collectible items to satisfy our customers, along with some that may bring back great memories! We hope that you will come and check out our collection in its entirety. If you’re looking online and have any questions, just give us a call!